Someone asked about cover lines in the pinned chart post. ​ A cover line allows you to seperate your pre-ovulation temps, or follicular phase, from the post-ovulation temps, or luteal phase. They allow you to easily tell when your temp shift happens. 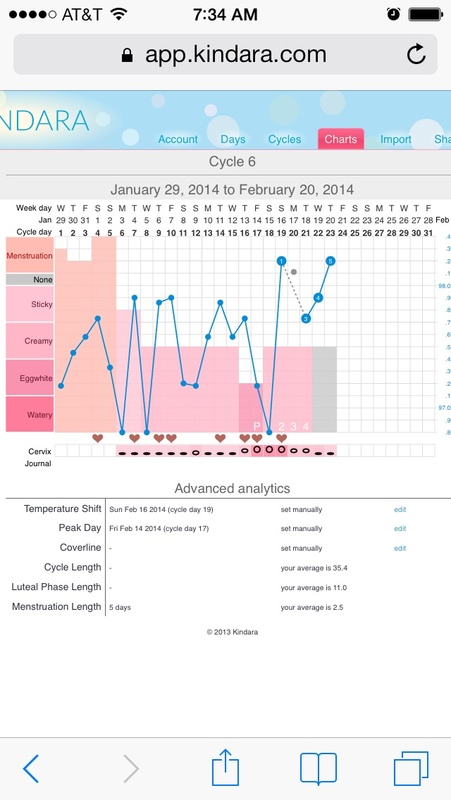 It is drawn .1 degree higher than the sixth day before ovulation. Confused? Here we will draw one together. ​To draw a cover line is fairly easy. I'm going to use my kindara chart to try to show you how. ​So above you can see my chart from this month. For me, a temp shift is usually at least a .4 degree drop followed by around a one degree spike. ​To draw my cover line, we are going to find my last low temp and count back six. 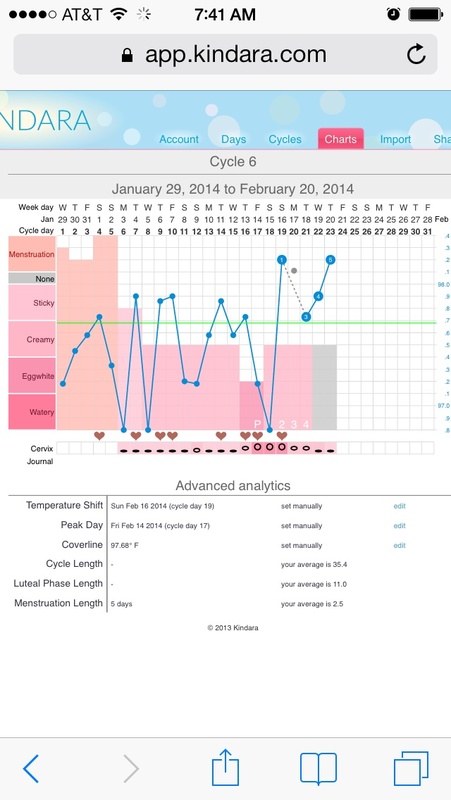 So with the above chart, my ovulation day, my last low temp, is on February 15th, CD 18. So we count back six days which lands us on February 10th, CD 13. It's hard to tell but my temp that day was 97.58. So my cover line is 97.68. Like this below. ​The green line is my cover line for this cycle. You should have at least 3 temps higher than your cover line to confirm ovulation. I am DPO 5 and you can see all of mine so far are higher. ​I hope this helps and doesn't confuse you too much. I will try to answer any questions that I can. Good luck and baby dust!